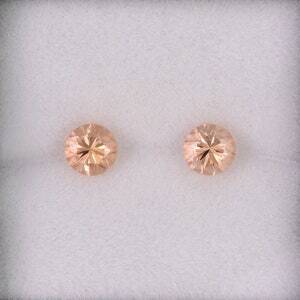 Size: 15.94 x 12.42 mm. This is a cute set! 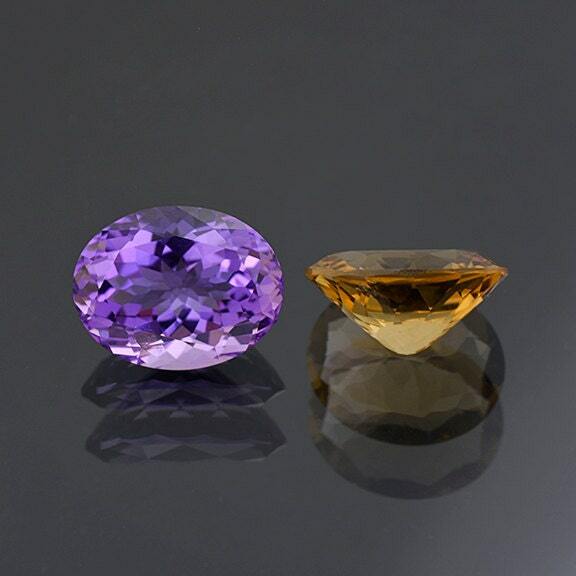 Here is a match pair of Amethyst and Citrine gemstones from Bolivia. 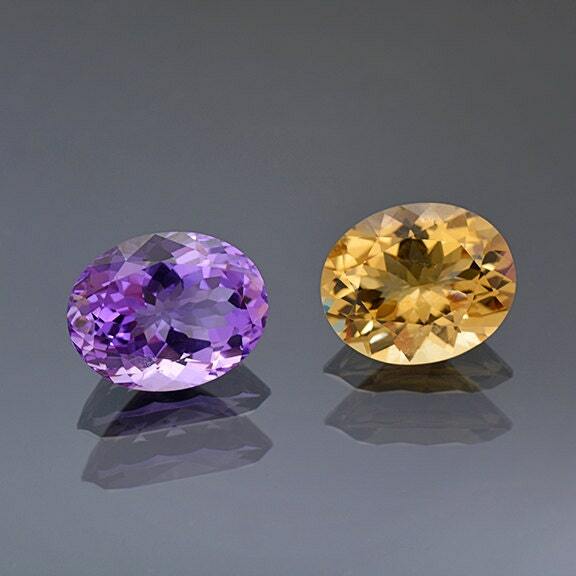 They were cut from a single Ametrine crystal. 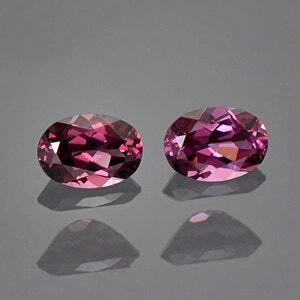 However, these stones were not cut to mix the color, but rather to separate them. 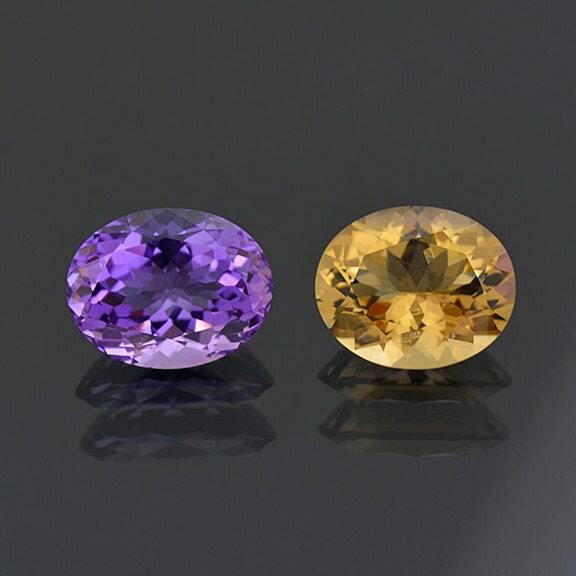 Each stone is lovely on its own, but as a set are quite lovely. They both glitter beautifully in the hand, and have fine light return. 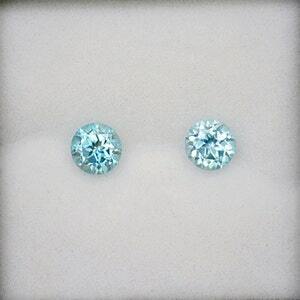 The clarity of both stone are excellent, and look just water clear. 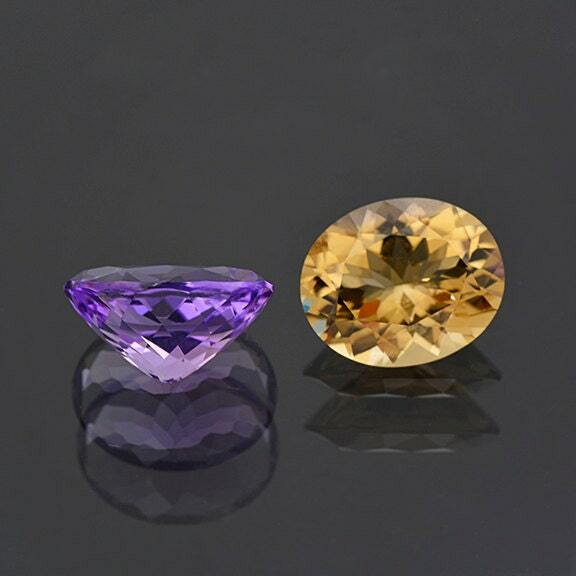 Both stones are completely natural and untreated. 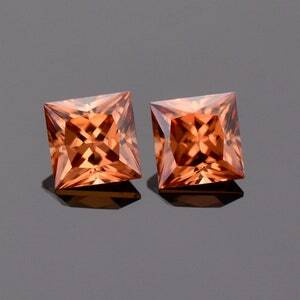 These stones are nice as a collector’s set, but will absolutely look lovely if set into jewelry. Enjoy!